Students read the clues and choose the right adjective. 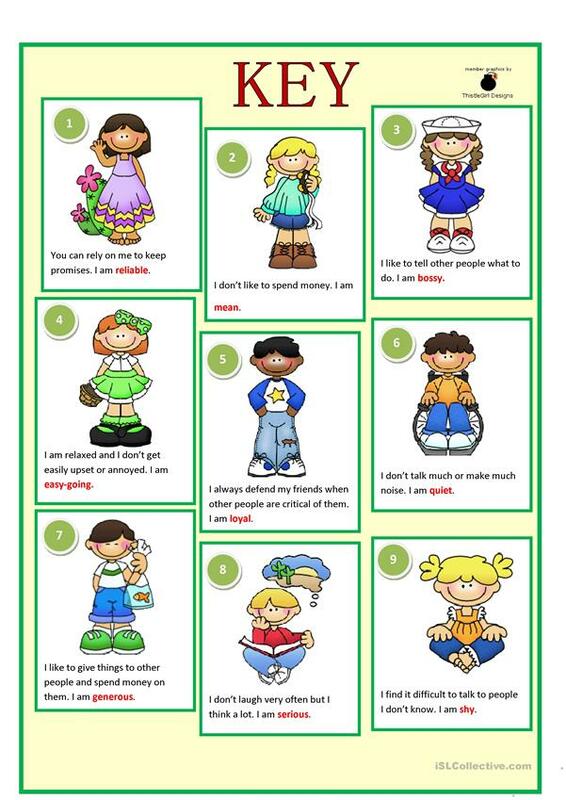 The present downloadable teaching material is best suited for elementary school students at Elementary (A1) level. 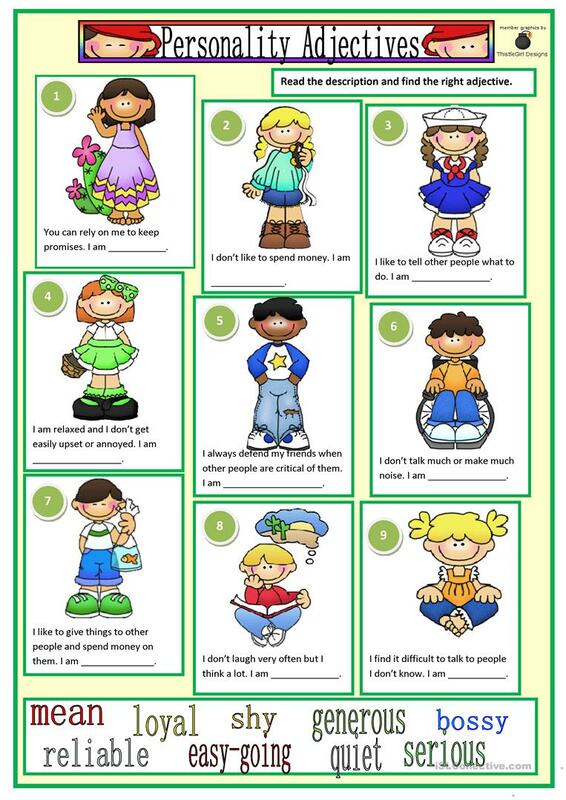 It is great for consolidating Adjectives and Adjectives to describe personality and character in English, and is excellent for strengthening your students' Spelling and Reading skills. It includes the answers, too.